Californians overwhelmingly approved Proposition 50 on Tuesday, a constitutional amendment that allows the state Assembly or Senate to suspend members without pay after a two-thirds vote. The measure passed showing 75 percent approval as of Wednesday morning. Lawmakers sought the change after suspending Democratic Sens. Leland Yee, Ron Calderon and Rod Wright in 2014, when all three faced criminal charges but had not yet been convicted. A state law prohibiting lawmakers’ pay from being reduced meant the three Democrats continued receiving paychecks while on suspension. California Forward was a leading voice in supporting the constitutional change. “With their resounding support of Prop 50, California voters continue to push for a more accountable Sacramento,” said Pete Peterson, Dean of the Public Policy School at Pepperdine University. "Yesterday’s victory can be seen in keeping with citizens’ redistricting, Top Two, and term limits, as measures creating a more representative government in California." "Looking ahead, I’m hopeful to see more reform proposals deliberated in the Legislature and on the November ballot,” added Peterson who also serves on CA Fwd’s Leadership Council. There was some tepid opposition to Prop 50 based on the argument over whether the change was even necessary and whether the authority might be misused for political reasons. Admittedly, the passage of Prop 50 is not a game changer in this era of government reform in California. But it’s another step forward. “The job of improving and reforming government is an ongoing one---and CA Fwd is continuing to aggressively work on numerous fronts to encourage and even mandate transparency throughout the government so voters have an accurate understanding of public decisions and the results of public programs," said Lenny Mendonca, CA Fwd Leadership Council Co-Chair. California voters may get another chance to vote on more political accountability reforms on the November ballot. A ballot initiative aimed at reducing special interests’ power over State legislators and improving voters’ ability to participate in the legislative process has cleared a major hurdle this week. Proponents of the California Legislature Transparency Act, a constitutional amendment initiative on track for the November ballot, have begun submitting signatures to various counties and will complete the submission process within a few days. The Legislature also has been moving on the issues raised in the ballot measure. Senate Constitutional Amendment 14 and Assembly Bill 884 would require all hearings to be recorded and posted online and would force lawmakers to wait 72 hours before voting on the final version of bills. CA Fwd is a strong supporter of the California Legislature Transparency Act, and we believe it is sound public policy as written. CA Fwd also was instrumental in the development of the Ballot Initiative Transparency Act, a reform crafted to encourage lawmakers and initiative proponents to reach principled compromise. “We appreciate former Sen. Sam Blakeslee's leadership advancing a reform that lawmakers previously refused to consider,” said Jim Mayer, CA Fwd CEO. "We also are grateful for Sen. Wolk’s and Assemblymember Olsen’s long-standing bipartisan support for the 72-hour rule, and for Speaker Rendon’s commitment to transparency and interest in engaging on the Legislative Transparency Act." 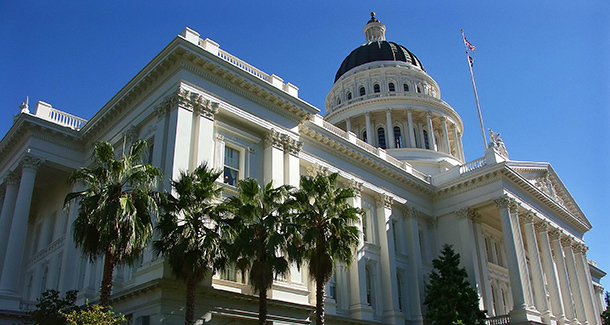 “CA Fwd encourages the parties to work together to see if they can develop an even better proposal for increasing legislative transparency,” Mayer added.